COPIA is the American Center for Wine, Food, & the Arts located in downtown Napa. Yesterday, they had a free Wines of Mexico walk-around wine tasting. Paired with its free admission to COPIA for the month of January, it drew a large crowd, despite the persistent rains. The show featured the wine-growing region of Baja, California, which is comprised of three valleys near Ensenada, about 60 miles south of San Diego. Thanks to an Arctic current that pulls cold water up from the depths of the ocean to create a Mediterranean-like micro-climate in this area, it has become a wine growing region. Wine has been made their on and off for the past 300 years. Oddly enough, in 1905, it was a colony of Russians who had arrived and revived its vineyards, which have been producing and multiplying ever since. The show was exceedingly well done. The tables were arranged on the perimeter of the room, so that all you had to do was walk up, wait for a few people in front of you, and then have a choice of about 4 wines to try. One table even had grappa. There were a few food tables and plenty of room. 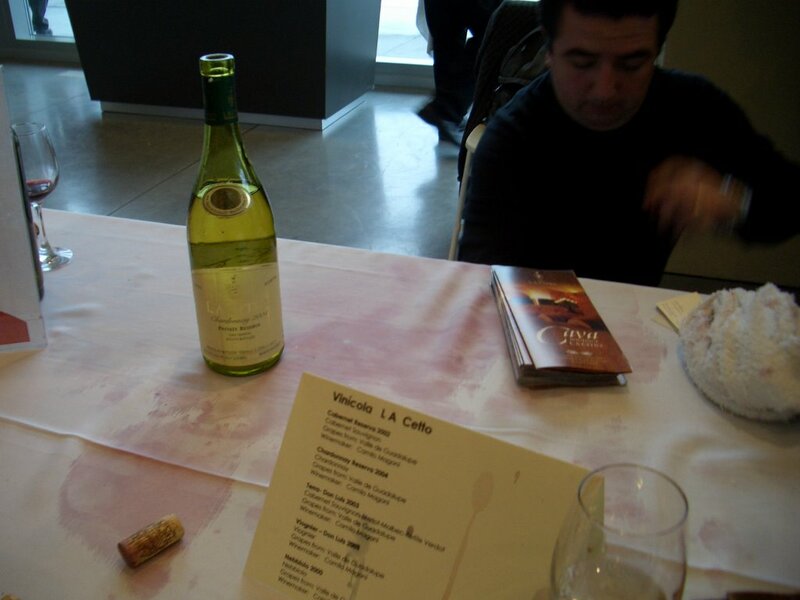 None of the wines were for sale, it was just a tasting. I have to admit, I felt like I was stealing--so much free stuff so graciously offered. I wish I'd liked more wines, but I was jolted by a zinfandel with a syrupy sweet start.... a sour cabernet sauvignon.... a puckery syrah. I guess I like balanced wines, so if a strong flavor bursts out, I retreat. 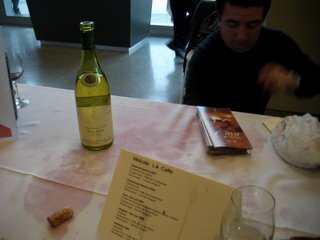 But I did enjoy the refreshing, crisp Chardonnay Reserva 2004 at Vinicola L.A. Cetta. 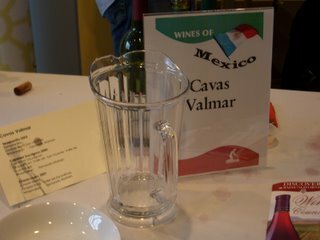 Cavas Valmar was my favorite, with its Cabernet Sauvignon 2000 and a smooth, subtly spicy Tempranillo 2003. I would have liked to buy a bottle. Upstairs, COPIA has its museum exhibits about food and wine (including a wall of Julia Child's pots and pans--soooo much copper). There was also an exhibit of art made from recycled materials/junk for some reason. Outside there is an Edible Garden that I didn't see because of the rains. Its restaurant, Julia's Kitchen, looked like rather superb fine dining. 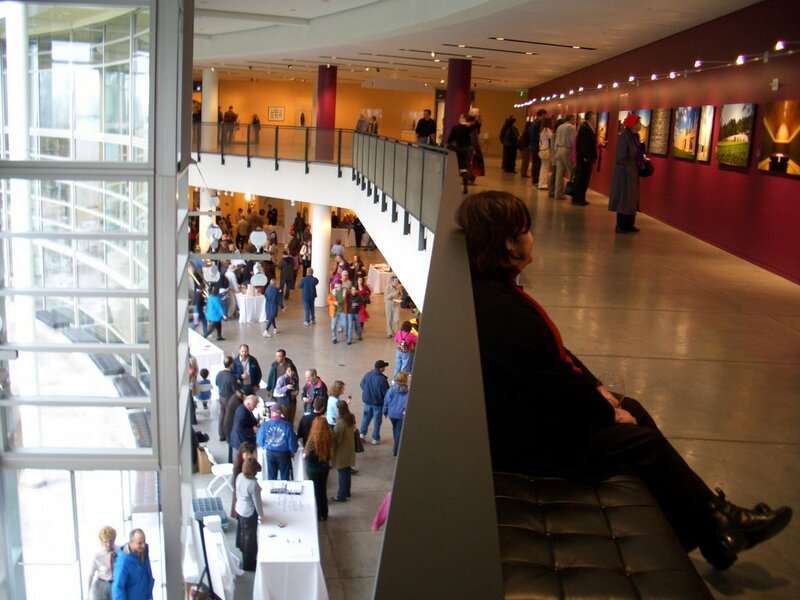 So, is COPIA worth its regular $12.50 admission? Maybe its the modern architecture that makes it seem like there isn't much there for the large space (although it is beautiful), so my advice would be to go when there is an appealing event. If it's as classily done as the Mexican Wine Tasting, it's a great value and a lot of fun. And luckily, they have events going on all time. 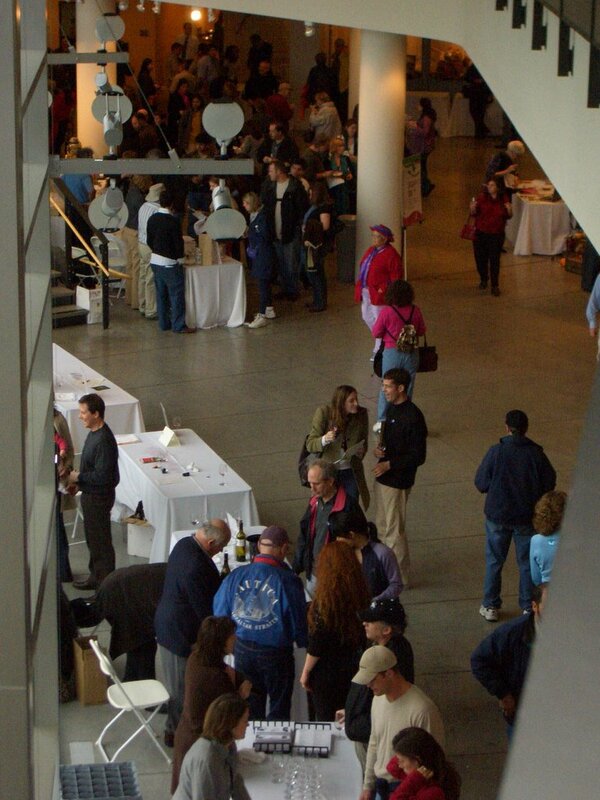 But no matter when you go, there is wine tasting included in your visit--for instance, even yesterday, in addition to the profusion of Mexican wineries, Sonoma's own La Crema was featured at the Wine Spectator Tasting Table. Hey! WOW what a great thing to get into. When did this all go down? What made you change your mind about Law school? This seems lke it will be more fun and of course taste better:) We have to come see you, if not for the Napa for the goodies! Talk soon!! And you MUST come visit!